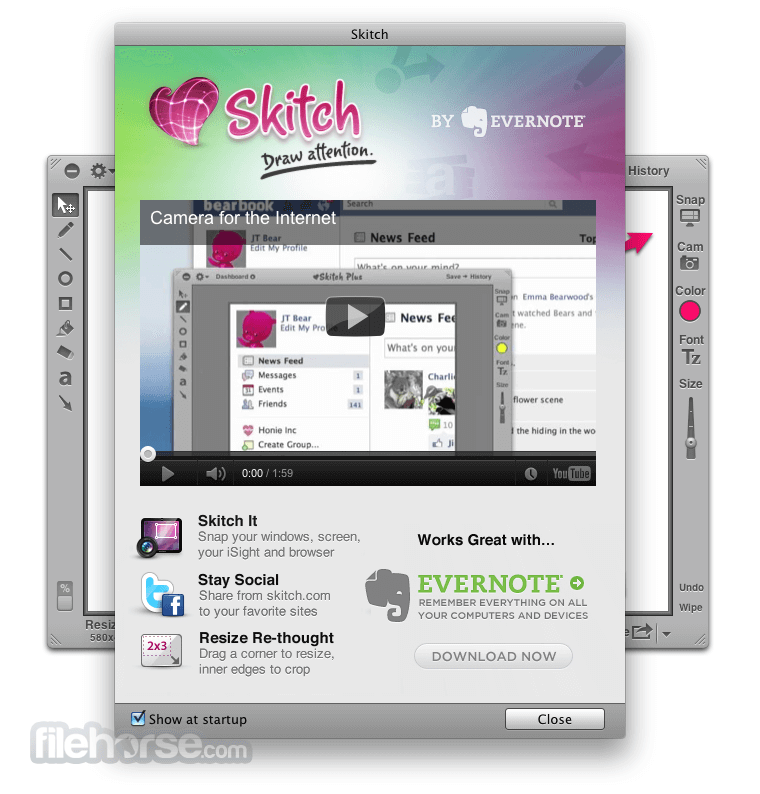 Skitch is a Mac OS X free image editor that enables you to easily take screenshots of your computer desktop, edit them fast and share them with their friends, co-workers and business partners. Sharing aspect of this program has received special care, because easy sharing between people is the key for good communication. This program is especially valuable for designers or programmers who want to get instant impression from their co-workers or clients on the project they are currently working. With streamlined way of sharing screenshots of their desktop, work on early drafts of the project is significantly shortened and streamlined, enabling better overall productivity. 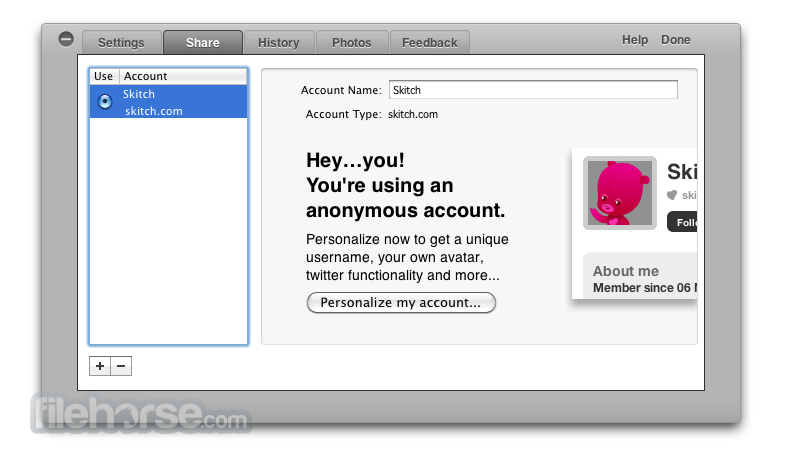 There are many similar programs that can take screenshots of the desktop surface or currently active apps, but Skits makes this process little different. 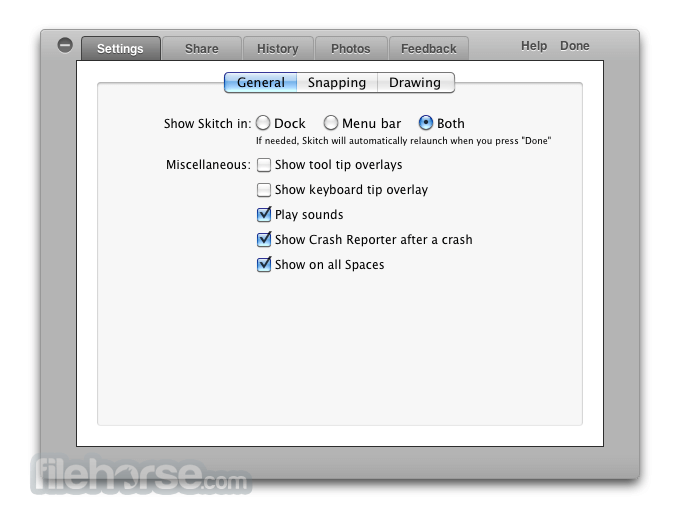 Instead of pressing keyboard shortcut and then drawing a box on screen to mark a capture area, Skits uses its own dashboard to capture data. 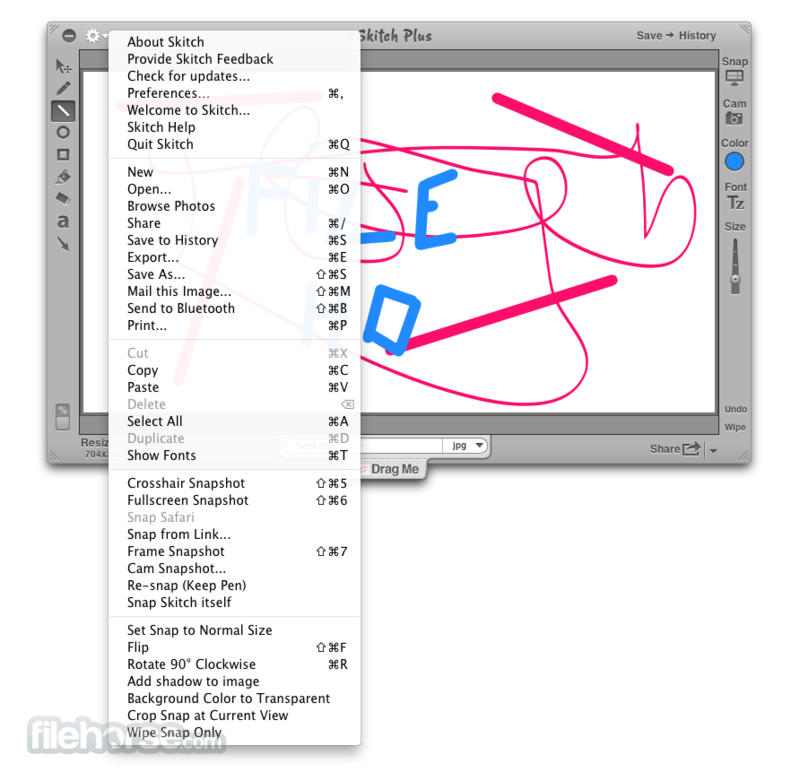 Users can easily resize Skitch’s dashboard which manages not only to hold a lot of tools in its borders, but also large “viewfinder” that will record whatever is showed in it. Captured images can be edited with painting or text entry tool, saved on your local storage or shared on the internet with a single press of your mouse button. 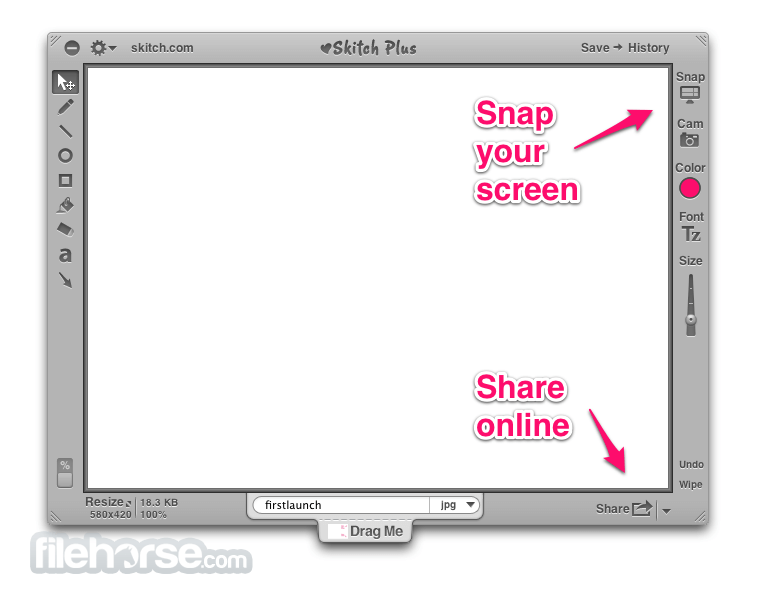 To enable you to put even more customization on the way you capture, edit and share images you’re your desktop surface, Skits has a comprehensive customization options that cover everything form the way application reacts after it is launched to the way images are saved and shared.